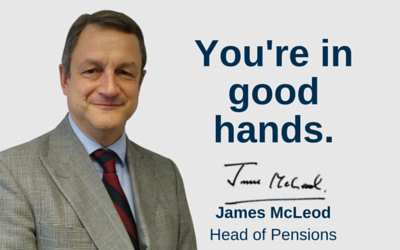 Do you have a UK registered pension and are you a tax resident in Egypt? If the pension remains in the UK, if the DTA conditions are satisfied, generally no UK tax should be due on payments under the DTA. Egyptian tax will be due at up to 25% on Egyptian residents, in addition to the 5% increase in the tax rate that is imposed on the annual taxable income exceeding EGP 1m (approx £84,000). Furthermore, the fund remains exposed to the UK death benefit charges. Transferring to a Gibraltar QROPS for non-UK residents (5 years +) can alleviate UK tax on payments (at up to 45%) with 2.5% Gibraltar tax on payments, and tax payable at up to 25% in Egypt for residents, in addition to the 5% increase in the tax rate that is imposed on the annual taxable income exceeding EGP 1m (approx £84.000). Potential foreign tax credit available to alleviate any double taxation. Furthermore, the QROPS can protect from the UK death benefit charges if long-term (5 years +) non-UK resident and there is no Gibraltar IHT. Transferring to a Maltese QROPS for non-UK residents (5 years +) can alleviate UK tax on payments (at up to 45%) with up to 35% Malta tax on payments under the DTA, with potential tax also payable in Egypt for residents at up to 25% in addition to 5% increase temporarily imposed on annual tax income exceeding EGP1m (approx £84,000). Potential foreign tax credit available to alleviate any double taxation. Furthermore, the QROPS can protect from the UK death benefit charges if non-UK resident (5 years +) and there is no Maltese IHT. There is a DTA between the UK and Egypt which states that pensions, and other similar remuneration paid in consideration of past employment to a resident of Egypt, shall be taxable only in Egypt. This is also the case for annuities. There are separate provisions for Social Security and Government Service Pensions. Gibraltar has no DTA with Egypt, therefore the QROPS pension payments to you would be taxable in Gibraltar, currently at a rate of 2.5%. No Gibraltar Inheritance Tax. Protection from UK IHT. Malta has a DTA with Egypt, this provides that pensions and annuities arising in Malta and paid to a resident of Egypt shall be taxable in Malta. Therefore the QROPS pension payments shall be taxable in Malta at up to 35%. However, the Egyptian Tax Authority may also seek to assess it. Individuals resident in Egypt are generally taxed on their worldwide income at progressive rates. Non-residents are generally taxed on Egyptian-source income only. To be considered a resident of Egypt an individual must be present in Egypt for more than 183 days, either consecutive or interrupted during twelve months, be deemed to have a permanent abode in Egypt, or be an Egyptian national residing abroad but income derives from Egyptian sources. It is also possible if Egypt is the centre of his/her commercial, industrial,or professional activity. Tax rates are progressive up to 25%. The tax rate has been temporarily increased by 5% on annual taxable income exceeding EGP 1m (approx £84,000). This increase applies to natural persons for 3 years, starting as of the year 2014. Taxable income includes income from employment and pension income. Foreign pension income is taxable on residents. It may also be taxable on non-residents if remitted to Egypt. A Pension Commencement Lump-Sum would be taxed in the same way as pension income. Any contributions borne by an employer on behalf of the employee is a taxable benefit and would be subject to salary tax. There would be no Egyptian tax relief for contributions made to the foreign scheme. Generally there should be no taxable event on the transfer of pension rights from a UK scheme to a QROPS. This is the case if the pension is not related to an Egyptian employer, or for services which are not rendered in Egypt. However, as a contribution to a foreign plan is generally regarded as a benefit for Egyptian tax purposes, it is preferable for the pension, if occupational, to not be paid in Egypt to avoid any challenge from the authorities. Where the plan is a personal one, the transfer should not be a taxable event. A Foreign Tax Credit (FTC) should be available in Egypt if foreign tax is suffered on the pension income (e.g. in Gibraltar or Malta). However, the supporting documents should be made available to the tax authority during the tax audit process. In practice, to obtain a tax credit in Egypt is a lengthy process and it may be that the tax authority will decline the credit. Net wealth and net worth taxes are not imposed in Egypt. Inheritance and Estate Tax are not imposed in Egypt. Therefore no Egyptian tax on death of member of pension scheme. Egypt has signed DTAs with approximately 56 countries, including the UK and Malta.